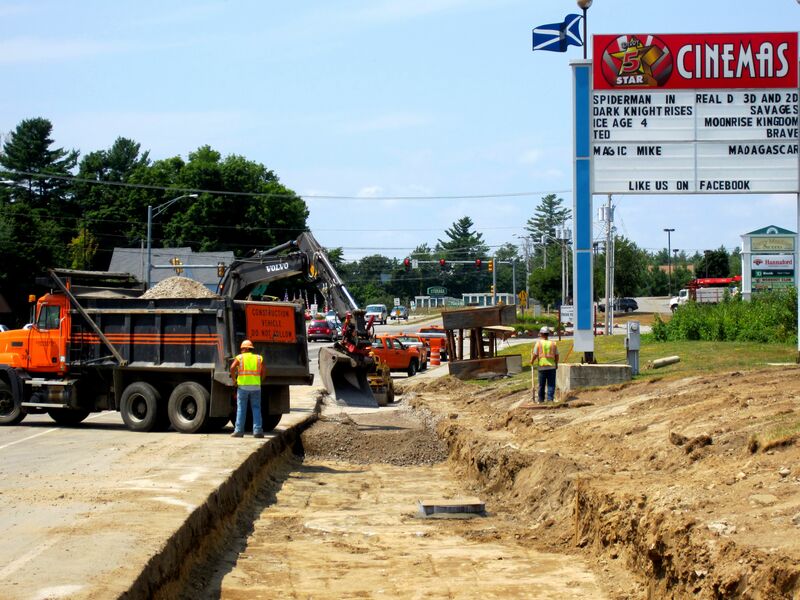 Summer is known for vacation, beach days, barbecues, and last but not least, construction. 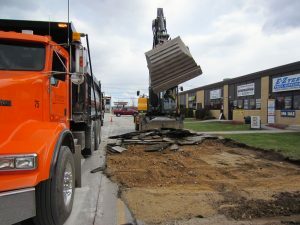 During the summer months, it’s unlikely you’ll make it to any of your favorite summer destinations without encountering at least one construction site along the way. Construction can be spotted from a mile away. First there are a dozen signs, then the traffic slows down by 10 mph or more, you may even see a cop car or two, finally you pass the workers in hard hats and fluorescent vests, hard at work turning our engineers’ designs into reality. 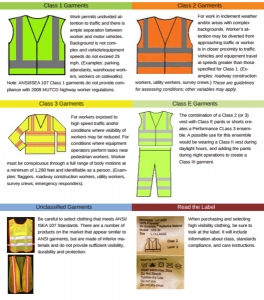 Every operation on a construction site is designed with safety regulations and guidelines in mind; there is a reason for everything down to the color of the vest the workers are wearing. 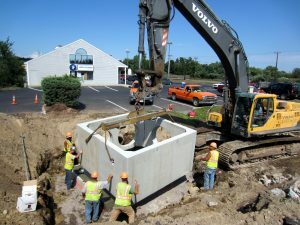 Here at Hoyle, Tanner, we are committed to ensuring the safety of our employees, our clients and the workers who turn our designs into reality. 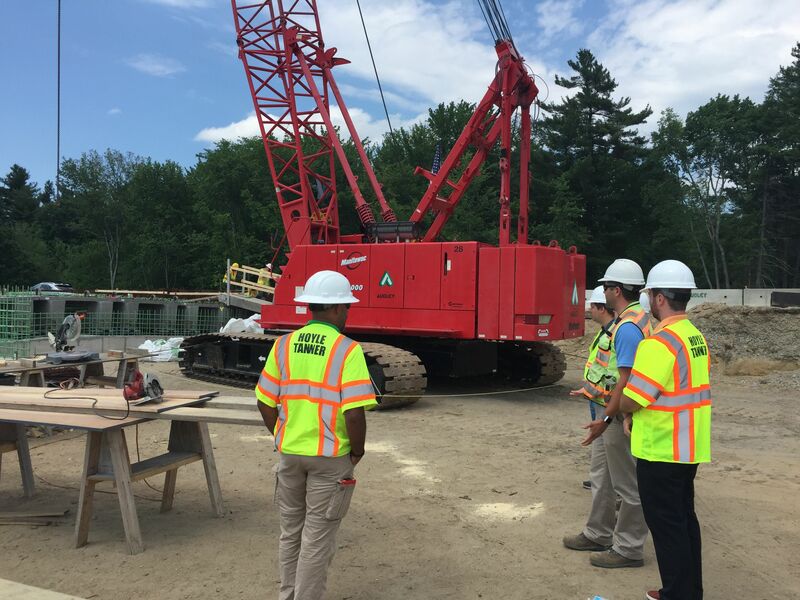 In honor of Safety Month, we spoke to David Langlais, the Chair of the Safety Committee at Hoyle, Tanner about practicing basic safety on the job site in accordance with the Occupational Safety and Health Administration’s (OSHA) guidelines and regulations. This may go without saying but you need to be aware of your surroundings at all times when inside a work zone. Be aware and on high alert from the moment you arrive on-site. Remember where you are, sometimes one wrong move can change everything. Hazards can be on the ground, like those that cause slips, trips, and falls, or in the air such as equipment coming into contact with electrical wires. Make eye contact with equipment operators – if you can’t see them, they can’t see you. Avoid fumes, dust, and particulates from cutting or grinding. The first step to ensuring your safety when on a construction site is keeping the wellbeing of both yourself and others at the top of your concerns. If it doesn’t seem safe, stay away, and contact a supervisor to assist you. A list of common site hazards can be downloaded below. Working outside in the elements can be dangerous. A day on the construction site is far different than another day at the office. Make sure you prepare for the weather conditions – whatever they may be. Especially in these summer months, the weather can change from calm and sunny to torrential downpours with lightning in an instant, so be sure to check hourly forecasts and plan your visit accordingly. Anticipate what your needs will be before it becomes a threat to your safety, and know your limitations. Oftentimes, we are called to observe work that puts us at a height, or in a confined space, or to walk long distances. Communicate with your supervisor if you have difficulty with any of these. Thousands of workers suffer from heat related illnesses each year. Practice heat prevention techniques – drink plenty of water, take breaks, and give yourself rest when necessary. Just because you aren’t at the beach doesn’t mean you don’t need to wear sunscreen. Take care of yourself and come prepared with everything you need to have a successful and comfortable day working outdoors. The physical environment can be a concern as well. Ticks, mosquitoes, bees, and poison ivy are common problems when working outdoors. Sometimes no matter how safe you are, emergencies happen, and it’s important that you are prepared. When visiting a job site make sure you provide your supervisor with your emergency contact information. If you’re on an active construction site, check in with the site supervisor. Bring a first aid kit – each service group and branch office has at least one for you to take with you. Consider becoming CPR certified, it can never hurt to be educated in what to do in the case of injury or illness on the job site – it could save a life. For regular site visitors, Hoyle, Tanner recommends completing a 10-hour OSHA training session to ensure you are caught up and aware of safety regulations and standards. The training will provide potential situations that may arise on any given day at the job site and walk you through how to properly mitigate the risk. Situations that carry their own unique risks require special training, i.e. bridge inspections, wastewater treatment plant inspections, confined spaces and others. Our professionals at Hoyle, Tanner are trained and up-to-date on safety regulations and requirements and are committed to the safety of the client and construction personnel. We are currently working on systems that will help you and your supervisor identify and prepare for risks on the job site well ahead of your first site visit. For more information on this topic, feel free to email our safety committee with any questions or concerns and someone will be happy to help you.